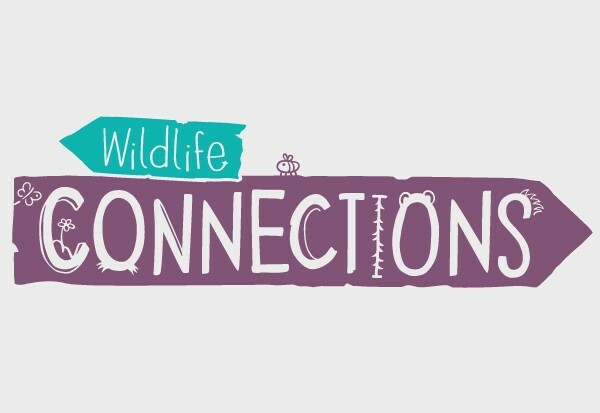 You can imagine our excitement when Chester Zoo appointed us to work on their new Wildlife Connections campaign. The idea behind Wildlife Connections is to promote the appreciation and conservation of British wildlife over a 5-year period. The aim is to engage thousands of people from different communities, getting them involved in wildlife conservation by ‘changing their behaviour in order to make positive impacts on their local environment’. Participants will be encouraged to become wildlife champions by creating wildlife corridors to allow animals such as hedgehogs, frogs, bees and other small vertebrae free movement between gardens and public spaces, as well as planting habitats that encourage specific species to thrive. Our brief was to create a unique and highly appealing campaign, which would be marketed through a dedicated microsite, animated online films, an advertising campaign and an online and physical toolkit. This campaign has to appeal to a wide range of audiences, so it was imperative that we really understood this for the success of the campaign. Knowing exactly who and where our campaign is appearing is paramount to the success of the campaign. Only from showing complete understanding of this were we able to demonstrate such a powerful campaign. To devise a creative approach which would have sufficient impact. Getting noticed is one thing, changing behaviour is quite another. Execution is, arguably, one of the most important aspects of a creative campaign. And our team of designers definitely did not disappoint, with the client even getting involved in the creation of some scenes! Our creative concept was highly unique, utilising hand-made paper craft scenes depicting a character walking through a beautiful, idealised landscape filled with sunshine, nature and wildlife. It’s a scene in which anyone would want to immerse themselves, whether they are 8 or 80. "We want our Wildlife Connections message to reach a wide audience and prompt people to take positive action. As such, the visual identity of the campaign is pivotal to its success. From the very outset, the team at Ultimate worked tirelessly to understand us, our objectives and the needs of our audiences and I have to say we were bowled over by the originality and creativity of the paper craft approach. We're very much looking forward to seeing how people react"
Our vision of how well this concept would work was strong, engaging and thought provoking. To bring the idea to life, we produced a series of really high quality paper craft scenes, that would be used as the basis of the campaign and will be applied to various media.